Finding Car Insurance when you are under 25 is hard enough, but then throw in a conviction or two - it might seem impossible! However we understand that mistakes do happen and will be delighted to help you track down insurers who are perfectly happy to provide insurance for those convicted of motoring offences. Through a specialist online panel of insurers, which can be accessed through the form below, there is cover for all manner of motoring convictions including serious motoring offences, drink driving and other alcohol or drug related offences. If, however, you only have a minor offence or two we would suggest trying a standard motor insurance comparison, as in such circumstances that can be more cost effective. Pop your details in below, and we will soon have our specialist partners on the case for you. If alternatively you prefer, call for a quote over the phone. Companies able to offer telephone quotations include Insurance Choice (0843 2270120) or Adrian Flux on (0800 181 4542). Both companies can cover not just motoring offences, but those with other criminal convictions as well. Find convicted driver insurance using a specialised team that work in partnership with us - they deal with drivers with motoring convictions all day long and will look at your application from the perspective of someone who wants to help you find affordable car insurance fast. What's more, as we use a panel of insurers, you will get a wider range of choice in insurers when you approach us for help. Although you might have a driving conviction, speeding ban or drink drink conviction it is still perfectly possible to get competitive convicted driver car insurance. Whatever your circumstances we can arrange for quotations to be provided enabling you to find well priced and good value car insurance for convicted drivers. Whatever conviction or driving ban is on your licence our specialist convicted drivers insurance panel will be able to help. And in addition they will have spoken to hundreds of other drivers who have been in a similar situation as you now find yourself, and have underwriters who are used to insuring those with driving convictions or bans. They have insurance policies which cover speeding convictions and bans, drink driving bans and dangerous driving convictions. If you have have been banned for 1 year, 2 years or even 3 years or more the specialist convicted driver car insurance policies they offer can cover you. If you have had to take a retest – no matter – they can still help. 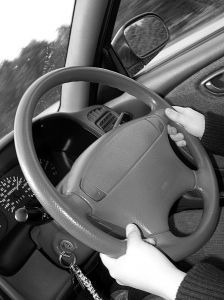 Convicted drivers will be deemed to be high risk by most insurance companies for convicted driver car insurance. You may be forced to pay prohibitively high premiums and have to agree to a more substantial level of excess when you are insured. Although surprisinly for some having a driving conviction doesn't always mean your insurance premium is going to be sky high – although a conviction will cast a slight shadow on your premium you will be older than you were when you last looked for insurance and that will help! The panel of insurers will look to find you competitively priced convicted driver car insurance whilst still offering a level of cover you want - whether that’s a fully comprehensive, third party or third party fire and theft policy for a convicted driver. We believe this panel offer great value rates meaning lower premiums for convicted drivers. They also offer a range of policies specially for those with drink drive convictions (that’s DR10 convictions or DR10 bans, drink drive convictions or drink drive Bans) and also for all other driving convictions detailed below. If, however, you have 6 or less points on your licence please do consider our standard car insurance comparison service, as many mainstream motor insurers will be happy to quote for drivers with less than 6 points, and you may find the wider choice delivers further competitive quotes.